Can your garage floor benefit from professional floor coating services? If you’re concerned about extending the longevity, durability, or resilience of your garage floors, our floor coating company at Prestige Floor Coating can help. We provide only high-quality garage floor coating services, available throughout the Northern Virginia area. Do your garage floors undergo a lot of stress from vehicles, recreation, storage, or weather? Our floor painting, floor epoxy, and floor coating services are designed with you (and the Northern Virginia climate!) in mind. If you are concerned about installing environmentally friendly floor coating products, we offer “green” options, too. For garage floor coating services in Northern Virginia, call (443) 519-2628 or contact us online! Do you use your garage to park your cars, store heavy equipment, or complete home improvement projects? It’s a fact—your garage floors will take a beating over time. That’s why they need a little help! Even tiny cracks and divots in your flooring can lead to systemic problems over time. When it comes to protecting your garage floor, our floor coating professionals can help assess your floors after a brief walk-through to determine what garage floor coating services can most benefit and protect your floors. Is it time to schedule a consultation for garage floor coating services in Northern Virginia? Call (443) 519-2628 or contact us online! Are you looking for a “green” garage floor coating in Northern Virginia? Call (443) 519-2628 or contact our floor coating company today! 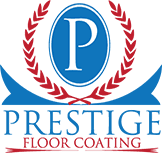 At Prestige Floor Coating, our specific formulas of polymers, epoxies, polyurethanes and other ingredients provide 800 times the strength of standard concrete flooring. The rubberized membrane allows for weather-related shrinkage and expansion and you’ll never need to worry about peeling. When you trust your garage floor coating project to Prestige Floor Coating, you’re getting a product that is superior in its dependability and strength and that is safe for the environment. Our floor coating technicians are professional, courteous, and time-concerned. Your project will be completed on time and with the utmost respect to your home and family. No job is complete until you are satisfied. Prestige Floor Coating has been doing business in the Northern Virginia area for nearly two decades. We’ve covered more than 30 million square feet of flooring and proudly claim more than 40,000 satisfied customers all around Northern Virginia! For garage floor coating services, contact Prestige Floor Coating or call (443) 519-2628!